How do you show your Disney Side? Was it when your family entered the gates at Walt Disney World Resort or Disneyland Resort? Or maybe the last time you sang your favorite Disney tune (Our favorite is "Let it Go"), or reminisced about your favorite Disney Parks attraction? Most everyone has a Disney Side - it's that fun-loving, adventurous side that comes out to play when you're feeling the Disney spirit! Now, how does your preschooler show their Disney Side? This year I will be hosting a #DisneyKids Preschool Playdate. I'll give you all the tools needed to make little ones dreams come true in a BIG WAY. Follow along as I plan a unforgettable PlayDate. Before I get started, I want to thank Walt Disney World and the wonderful Disney Parks Team like Jaime and Leanne, also a huge thank you to the Delivery Team and MomSelect. As mentioned above, I was selected to host a #DisneyKids Preschool Playdate. My kit is specifically designed for preschoolers with a fun focus on Disney Junior Characters like Sofia the First. My kit contains a special Sofia the First suitcase, party favors, decorations, games, activities, recipe ideas and a special hostess gift. Each kit is designed to accommodate at least 10 parents and 10 children. I know I'll have my Disney Kids showing off their Disney Side in no time. For my #DisneyKids Preschool Playdate, I will be having a Disney Easter Egg Hunt at the most magical place I know, my castle. 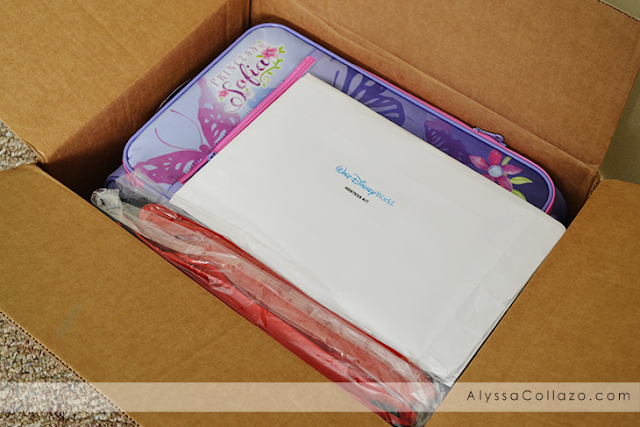 While I prepare for my playdate here is what was included in our #DisneyKids Preschool Playdate Kit. Our #DisneyKids Preschool Playdate Kit included: Mickey Mouse Themed Napkins, Cups, Plates, a Tablecloth, and Centerpieces. 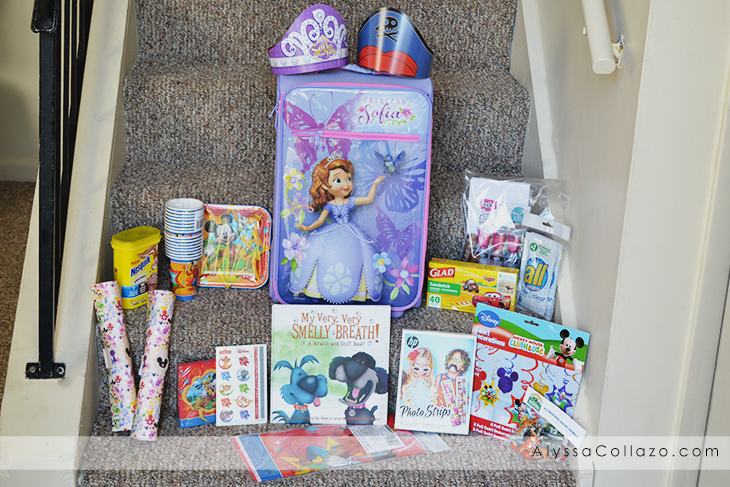 Sofia the First Reversible Hats, Bags, Posters, Walt Disney World Resort Preschool Maps, a Sofia the First Suitcase and more featuring Disney Junior characters. Disney themed activities, such as Bingo, matching games and MORE. Exclusive Walt Disney World Resort inspired crafts. Along with fun extras from awesome sponsors including: HP, I Love To Create, Nesquik, All, Banfield Pet Hospital and GLAD. I am beyond excited for our #DisneyKids Preschool Playdate, it's going to be Eggstraordinary! My preschooler is excited to invite her friends from her Pre-K class along with her cousins and grade school sister. After this Playdate I am definitely going to look into planning a Disney World Vacation. Please stayed tuned as I plan our Easter #DisneyKids Preschool Playdate and in the meantime feel free to check out our #DisneySide @Home Celebrations Princess Valentine's Day Party we had last year. DISCLAIMER: I received free products in order to host a Disney Kids Preschool Playdate. All opinions stated are my own and are not influenced by any affiliates. That is so fun! Look at all that good stuff you got! The kids will have a blast. I know a little girl that would actually love this. It's got to be so much fun to get one of those boxes and let your kids just open it. Looks like it'll be a fun play date for your daughter. This looks like so much fun! I know my kiddos would love this, my youngest is 4 years old and he continues to ask for his friends from school to come over, what a great reason a Disney Side party would make for that to happen! This is so cool! My niece would absolutely love this. It is a great idea for her next birthday! Your daughter will have so much fun! Those are all great stuff you got and I am sure your playdate will be a success! This is a great collection of goodies. Your Daughter must have been so happy. What a great collection! My kids would love a Disney party to share with their friends. We're doing our Disney playdates party this weekend. My daughters birthday party is this weekend so we thought it would be perfect to have for her party. We're all excited for it too. That sounds like so much fun for the little ones. Looks like a lot of great stuff too. Oh wow that sounds and looks so much fun! She must be really excited for her coming playdates! What a great idea for a play date. These are cute stuff. The girls and their friends will have so much fun with this. My daughter loves Sophia the first and all the rest of the Disney's Princesses! This preschool playdate kit will make a lot of students happy and I will forward this post at what is the best essay writing service so other Mother's will know.